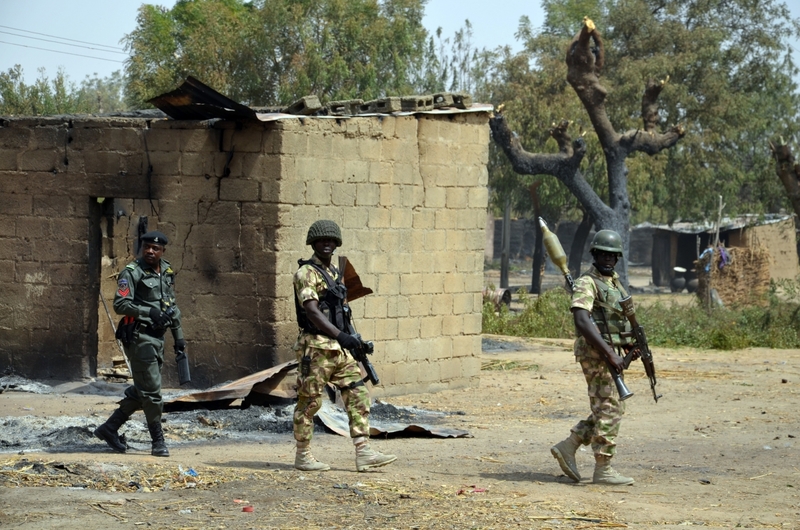 As Nigerian soldiers are at battlefield with Islamist group of Boko Haram, a total number of 8 soldiers are reportedly missing while 3 have sustained serious injuries after Boko Haram members ambushed the Nigerian troops in Borno state on Monday. According to reports, one army gun truck was also taken away by Boko Haram members. The three wounded soldiers were taken to a medical facility for treatment. On Sunday, Nigerian government confirmed that 110 girls were missing after suspected Boko Haram militants attacked a Technical college school in the north east of the country last week in an attack which is said to be the largest abduction since Boko Haram kidnapped 276 girls from a school four years ago. Yesterday Monday 26th, the government of Nigeria deployed extra troops and planes to search for the missing girls in their enemies’ territory.